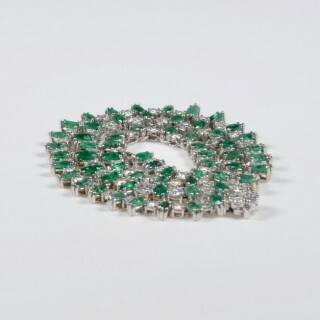 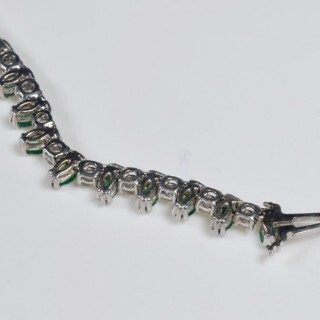 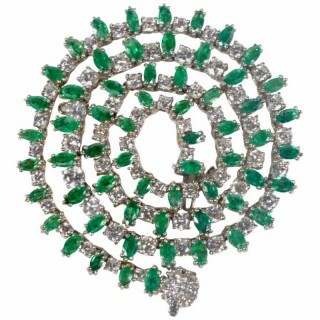 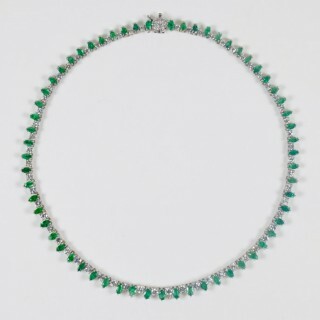 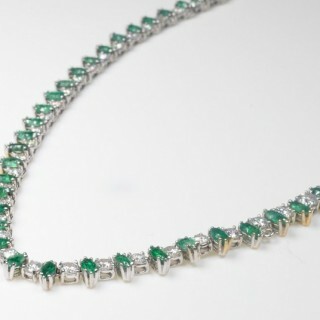 A beautiful white gold, diamond and emerald riviere necklace containing 67 round brilliant cut diamonds weighing approximately 5.35 carats total and 61 marquise shape mixed cut emeralds weighing approximately 3.60 carats total. 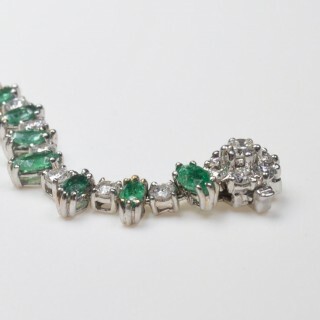 Many of the emeralds. 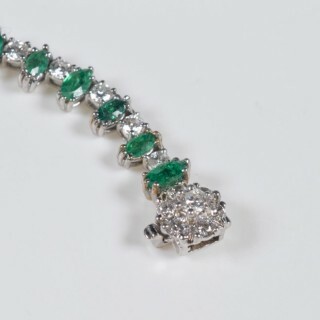 Diamond Characteristics: Color: G-I with some J. 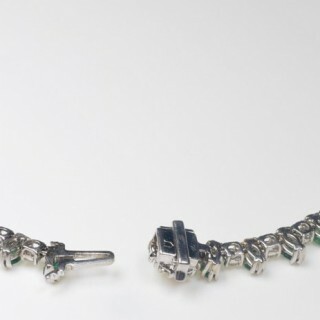 Clarity: Mostly SI with some VS and I. Scratchmark 18169 and pentagonal shaped mark to reverse of clasp. 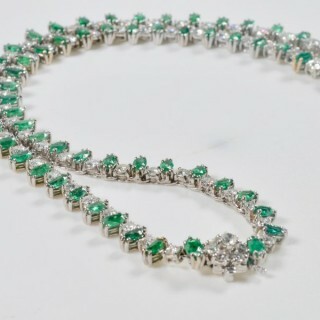 Necklace measures approximately 38 cm in length 16.70 dwts.